We love you so much son. Love your parents John and Peggy Grant, Grandpa Gary Allen, Aunt Elaine Rietberg, Uncle Phillip Allen and Wife Lori, Cousins Richard Rodgers and Amanda O’Herron and Husband Sean. 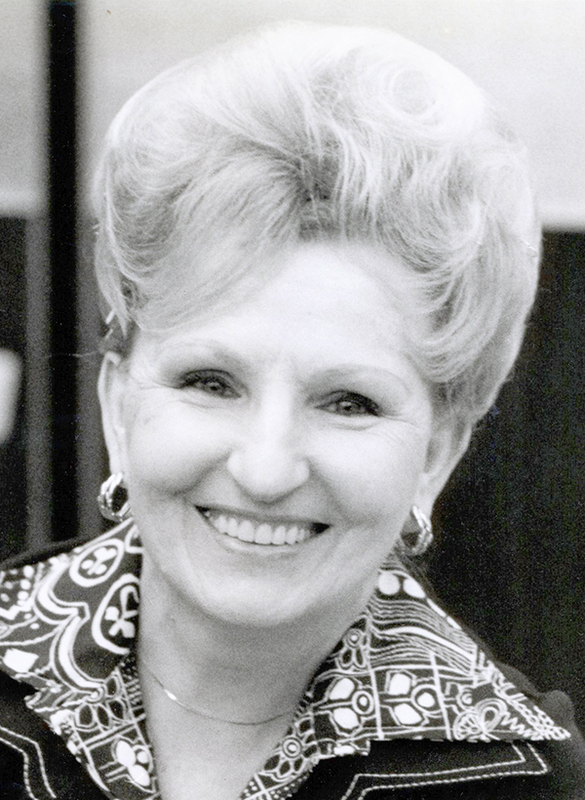 Emma Cleveland (nee Cetin), age 94, of Sun City Center, Fla. (formerly Berwyn, Ill.) passed away January 5, 2019. Emma was preceded in death by her beloved husband Russ, her siblings and their spouses: Edward (Ceil) Cetin, Robert (Penny) Cetin, Lorraine (Robert) Jasinski and her nephew Scott Jasinski. Emma is survived by six nieces and nephews: Debbie (Jim) Rixen, Michael (Nancy) Cetin, Randy (Patty) Cetin, Sandie (Bob) Pilipiszyn, Karen (Scott) Kelsey and Carol (Jerry) Chwajol. Over the years Emma was involved in many clubs in the Berwyn area, including the Berwyn Eagles where her husband Russ was a past president, FOE Ladies Auxiliary, REAC, SNPJ, St. Odilo’s and volunteered at the Berwyn Eagles Bingo up through her 90th birthday when she decided it was time to “retire.” She was an avid Chicago sports fan — especially those Cubbies! Emma enjoyed dancing, baking, gardening, crocheting, sewing, making holiday centerpieces and decorations for clubs she belonged to and handmade all of her greeting cards — her creativity was astounding. Dr. Melvin “Mel” Fader, 86, of Sun City Center, Florida passed away peacefully with his wife by his side and surrounded by family on January 7, 2019. Mel was born July 28, 1932, in Cleveland, Ohio to Max and Rose (Teitelbaum) Fader, where he spent his childhood. He married the love of his life Marsha (Hollander) Fader on August 18, 1957. They shared 61 years of wedded bliss! They married and raised three children in Youngstown, Ohio. Mel is a graduate of John Adams High School (1950) and completed his undergraduate degree at Case Western Reserve University. He continued his studies at The Ohio State University College of Dentistry and went on to finish his residency in oral surgery at the University of Pittsburgh. Mel set a high bar for professionalism and brought unprecedented patient care in the 42 years he practiced. While practicing, Mel was a huge part of the community. He was elected to be the head of the Medical-Dental Bureau, named chairman of the American Association of Oral and Maxillofacial Surgeons Special Committee, served as President of the Ohio Society of Oral and Maxillofacial Surgeons, was a Diplomat of the American Board of Oral and Maxillofacial Surgery, installed as the President of Corydon Palmer Dental Society, member of the Youngstown Hospital Association and President of Liberty School board, among many other accomplishments. As a dedicated family man and renowned oral surgeon, Mel never met a stranger. He will forever be remembered by his contagious laugh, compassion and his love for people. Mel enjoyed traveling, Cleveland sports and was an avid fan of The Ohio State Buckeyes. After retirement, Mel and his wife moved to Sun City Center, Florida, where he pursued a second, highly successful career. Mel worked as a realtor for Century 21 Beggins Enterprises. He made many special, lifelong connections with colleagues and clients. He is preceded in death by his parents, Max and Rose Fader. He is survived by his wife Marsha, brother Alfred (Harriet) Fader, daughter Pamela (Eric) Greene, sons Jerome (Charlotte) and Barry, grandchildren Lauren Fader, Caitlyn (Dan) Sabo, Nathaniel, two great-grandchildren Jenna and Aidan and numerous nieces and nephews. He left a lasting impact on everyone he met and is forever in our hearts. 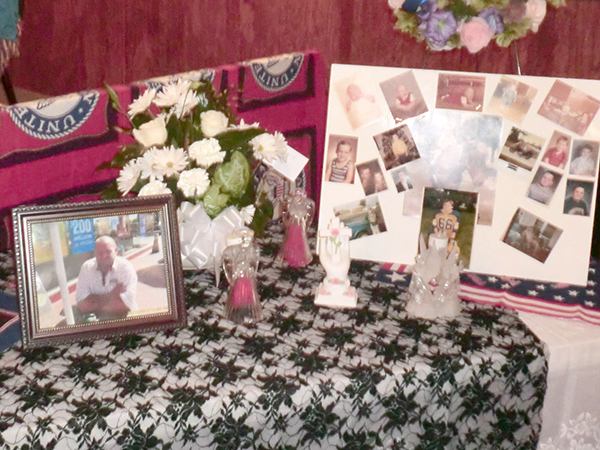 In addition to funeral and burial services in Sun City Center, Florida, a memorial will take place in Youngstown, Ohio in February. Information will be posted at a later date. In lieu of flowers, donations can be made in memory of Mel Fader to Moffitt Cancer Center, Beth Israel Temple Sun City Center, and LifePath Hospice House of Sun City Center. Condolences to the family can be made online at www.Segalfuneralhome.com. Miriam “Mim” Hosack, age 98, of Bradenton Fla., passed away on January 14, 2019, from natural causes. Miriam was born in Elmira, New York on Dec. 23, 1920. She graduated from Jamestown High School and received a bachelor’s degree in elementary education after taking courses at Fredonia State Teachers College and Wooster College. Later, she received a master’s degree from San Francisco State College. Miriam was married to Robert Bard Hosack on Aug. 18, 1942 while he was a sergeant in the U.S. Army. They were married for 62 years. 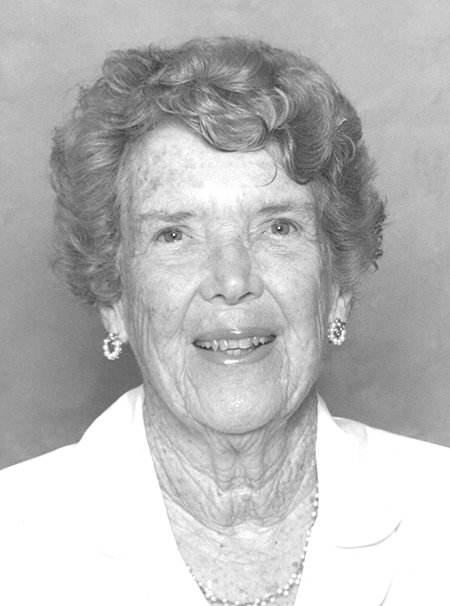 Miriam taught elementary school in New York, California and Florida for many years, and enjoyed singing in the church choir, reading, gardening, swimming and playing bridge. She was also actively involved in many other church and civic activities. Miriam is preceded in death by her husband Robert, sister Laura Mae, and brother-in-law Russell Duink, son-in-law Roger Curlin, and parents John and Grace McCorkle. Miriam is survived by her children Karen Hosack-Curlin, Ronald Hosack (Debbie), and Marsha Hosack (Steve Pfeiffer), grandchildren, Holly Trillo (Michael), and Andy Hosack (Carly Wardlaw), Roger and Tim Curlin (Becky), Adrienne and Ben Pfeiffer, great-grandchildren, Alexa and Seana Trillo, Jovie and Evan Hosack, and other family and friends. Memorial Service will be held March 17, 2019, at 4 p.m. at the National Cremation & Burial Society, 2990 Bee Ridge Road, Sarasota, Fla. Visitation will be from 3:30 to 4 p.m. Reverend Wally Johnson will officiate. In lieu of flowers, memorial donations can be given to Tidewell Hospice of Bradenton, 3355 26th St W., Bradenton, FL 34205 or Northminster Presbyterian Church, 3131 61st St., Sarasota, FL 34243. The family of Miriam Hosack wishes to thank both of these organizations for the caring and support provided to her. David L. Ulrich, 78, of Sun City Center, Florida died peacefully on Friday, January, 11, 2019. He was born in St. Petersburg, Florida to Frederick and Thelma Ulrich, where he spent his childhood. During high school, his family moved from St. Petersburg, Florida to Kokomo, Indiana where he graduated from Kokomo High School and enjoyed playing on the Kokomo High School Football team. David graduated from Ball State University in Muncie, Indiana with a Bachelor of Science degree in Science and Education and did additional graduate work in business at both Indiana University and Loyola University. David started his career teaching Biology in the Indiana School System for seven years. He then began working for General Motors Corporation as a Training Director and retired following a 37-year career. 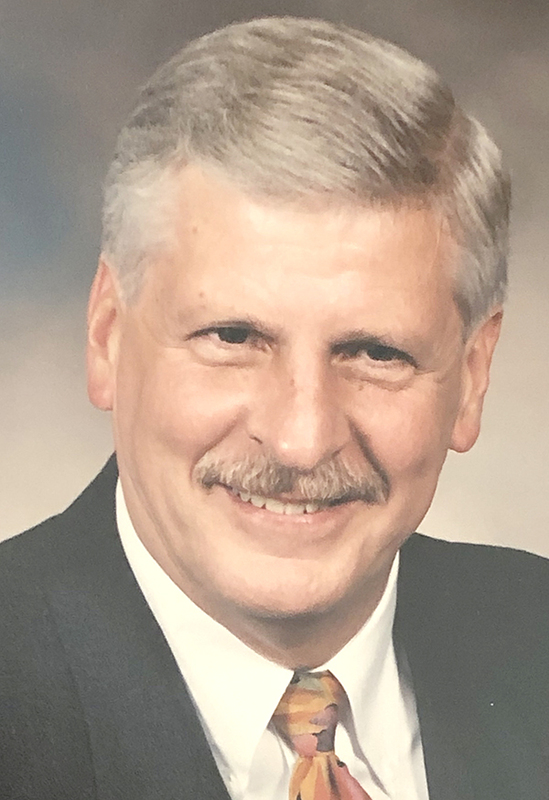 Upon his retirement he began a third career working in Public Safety for both Lucent Technologies and Interact Public Safety Systems. David is survived by his wife Cynthia of Sun City Center, Florida; three children, Scott Ulrich (Monique) of Grafton, Ohio, Kristin Gilland (Jim) of Bay Village, Ohio, and Karen Koller (C.J.) of Vermilion, Ohio. He is also survived by eight grandchildren: Benjamin Plaza, Christopher Koller, Jarrod Koller, Kyler Ulrich, Teagan Ulrich, Xander Ulrich, Cassidy Gilland, and Lorelei Gilland. He is also survived by numerous nieces and nephews. David was predeceased by his brother Douglas Ulrich of Sun City Center, Florida and Kokomo, Indiana; his sister-in-law Lori Moresco of Williamsville, New York, and his nephew Zachary Ziemann. David was a gifted handyman, music lover, and enjoyed his beloved Florida beaches. He also avidly followed the Tampa Bay Lightning and Tampa Bay Rays. He was a wonderful husband, adored father, and beloved Poppy and loved his family dearly. His quick wit, humor, and presence will be greatly missed by his entire family and many friends. A service will be held on Monday, January 28, 2019 at Hillsboro Memorial Funeral Home, 2323 W. Brandon Boulevard, Brandon, Florida at 11 a.m. with visitation from 10 to 11 a.m. and lunch following the service. In lieu of flowers, memorials may be made to the American Lung Association.